If you’ve kept up to date with the latest news in the smartphone industry, Lei Jun and Xiaomi are words that you have heard on an innumerable number of occasions. The CEO of the smartphone company is now en route to registering a $6 billion IPO, but here is how Lei managed to get inspired by Steve Jobs, a pioneer in the personal computing business. A book called Fire in the Valley: The Making of the Personal Computer was a turning point in the life of Xiaomi’s founder Lei Jun. He enrolled in at Wuhan University’s computer science program in 1987 and found this book in the university’s library. The book traces the origins of the PC and focuses primarily on Apple and Microsoft. It also narrates how Steve Jobs and Steve Wozniak laid the foundation of Apple on April Fool’s Day, released the Apple I at a Homebrew Computer Club meeting, made 50 computers in 1 month to complete their first order. Lei mentions the profound effect Fire in the Valley had on his life in the book Seizing the Opportune Moment. He describes how the book got him excited and inspired him to go pursue his dream. Lei launched his first company in his last year of university. The company made chips which made it easier for PCs to process data in the Chinese language. Unfortunately, the business felt because of tough competition from companies like Lenovo and Kingsoft. Lei later became the CEO of Kingsoft. Even though he failed, Lei thinks that Fire in the Valley inspired him to set up his first business. He was initially disappointed at not being successful right off the bat, just like Jobs and Gates, but he states that at the time he didn’t focus a lot on the investment and finances. Lei has come a long way since then. His company Xiaomi is about to go public and he managed to achieve this by following a strategy that is opposite to Apple’s. The Chinese OEM has garnered a huge name in the smartphone and consumer electronics space because its strategy is based around to selling products at an extremely low cost and to reach as many people as possible. 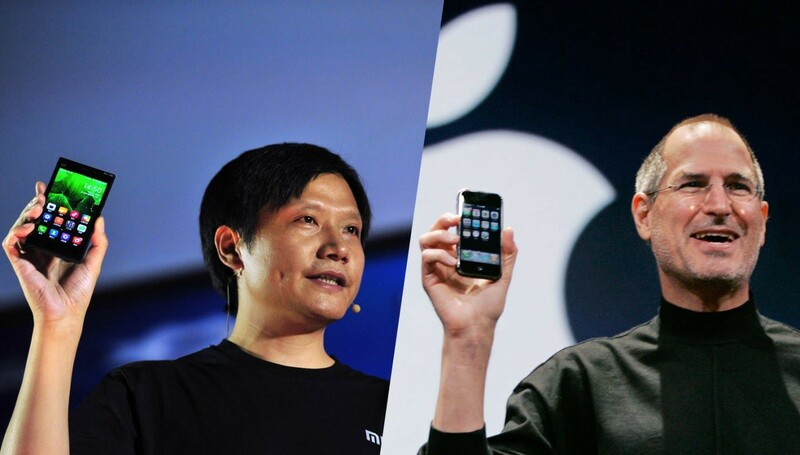 Xiaomi has been compared to Apple on numerous occasions and the company proudly mentions that in its press releases. Though Xiaomi has yet to ship the same number of smartphones as Apple this year, the figure of 100 million is still a step closer as opposed to what the manufacturer was able to obtain last year.